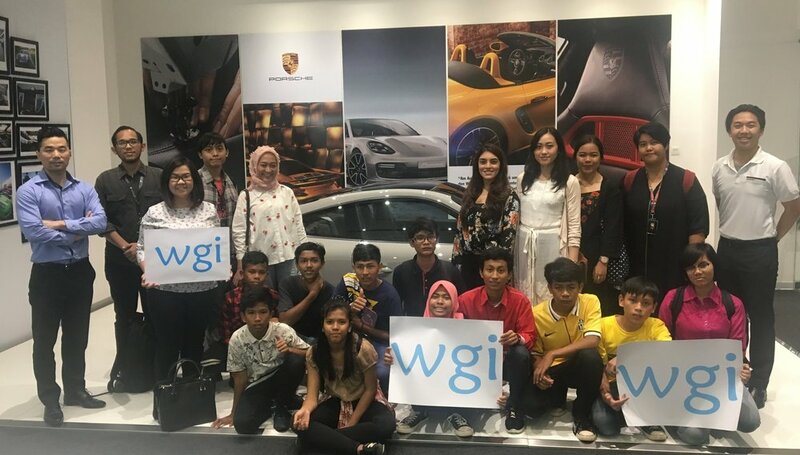 Jakarta (March 29th, 2018) - Wilson Global Initiative (WGI), an international organization dedicated to educating people around the world to stop illiteracy, has united with Porsche, the iconic German sports car manufacturer, to provide free English classes to under privileged children in Indonesia. The partnership will support children who are homeless and living in poverty. Porsche will be hosting free tuition classes and food at Porsche Centre Jakarta, and is encouraging its employees to volunteer for these services as well. As part of WGI’s Read and Rice program, the initiative will play an important role in building the educational capabilities of these children. The support will give the children access to future educational opportunities, which in turn will help to bring them out of poverty. "This partnership is a really fun way to give children a better future," said Chance Wilson, Chairman & CEO of WGI. "These children were born into an unthinkable situation and never had a shot at life. However, together with our partners at Porsche, we are going to give them that opportunity through the power of education." Mr. Christoph Choi, the Managing Director of Porsche Indonesia said, “We are very glad to welcome the Wilson Global Initiative (WGI) team and the children of Indonesia to Porsche Centre Jakarta. It is not only a privilege for the children, but for us too. As a world-renowned sports car manufacturer, it will be a huge pleasure for us to share and inspire the kids with the milestones that Porsche has achieved since 1948 to reach this peak of success. Hopefully, this meaningful event will have a long-term impact for our community and we look forward to supporting more inspiring events from WGI”.